Despite making claims of possessing “inside intelligence” about plans that are afoot by the APNU+AFC Coalition Government to tamper with the process of elections preparations, Leader of the Opposition, Bharrat Jagdeo, today said that he will soon be offering a reward to the public for information on this front. At a press conference held at his Church Street office, the PPP General Secretary said he would be putting out a reward soon for anyone who has more information. He made a number of serious claims, attributing all of them to be information gathered from inside intelligence. 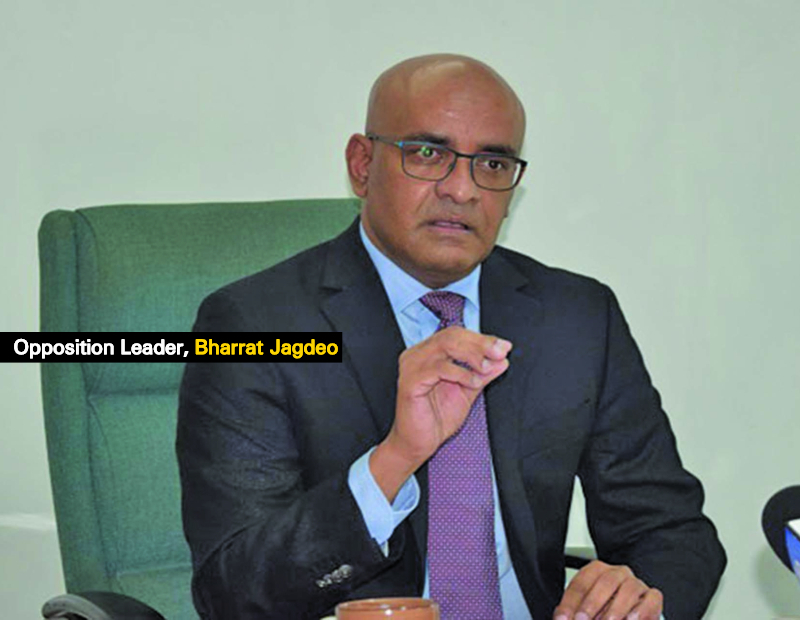 Jagdeo levelled serious accusations against the coalition government, including claims of having names removed from the list; providing foreign nationals with documents; and dirtying the list of voters. Regarding his source of information, he simply said, “We have a long list of things that they were planning to do from our inside intelligence.” Though all of his claims held very specific, incriminating details, and while Jagdeo said he is fully aware of the aforementioned, he nonetheless indicated that the Opposition will still put out a reward next week for anyone to come forward.